CodeRage X – Delphi Parallel Programming Deep Dive: Task Monitoring, Resource Locking, Thread Pool, Design Patterns and more! 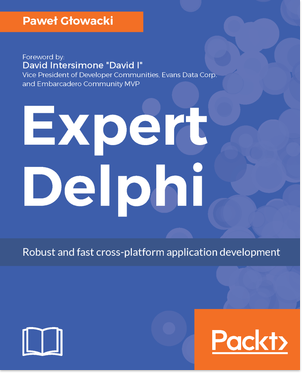 Delphi Parallel Programming Library Deep Dive: Task Monitoring, Resource Locking, Thread Pool, Design Patterns and more! 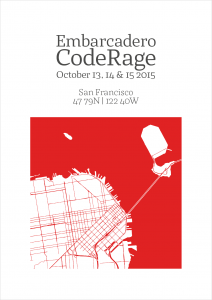 That is the full title of this session at CodeRage X. I hope you found this deeper look into some of the relevant parallel programming features such as TInterlocked, TMonitor and TThreadPool useful. Remember: when you run into shared resources with multi-threaded programming; consider just making a copy of the data for each thread. CodeRage X is net begonnen! In dit online event vele bekende sprekers met enkele erg interessante sessies over multi-threading, van Primož Gabrijelcic (Simplify Parallel Programming with Patterns) en Olaf Monien (Simplify MultiThreading with System.Threading for Mobile and Desktop Apps) en mijn eigen sessie (Parallel Programming Deep Dive: Task Monitoring, Resource Locking, Thread Pool, Design Patterns and more!). Ook erg interessant: Robert Love (Introduction to Encryption: Understanding Security Algorithm Use Cases). En als verborgen juweel de generic broncode van Andrea Magni in zijn sessie (TFrameStand Deep Dive: Build Visually Stunning and Consistent UI/UX with FMX Frames). Natuurlijk nog meer leuke sessies van Marco Cantu, Jim McKeeth, Girish Patil, Ray Konopka en Stephen Ball. Zelf heb ik ook een korte sessie, waarin ik wat dieper in ga op de Delphi Parallel Programming Library op donderdag 15 oktober om 16:00 CET.